carNAVi FAQ (Knowledge Base) - How can I get the carNAVi App for smartphones? carNAVi GPS maps of the Philippines are now available for the NAVITEL smartphone app. The software is available for Android, Apple iPhone and iPad, Windows Phone 7.5 and 8.x and Blackberry devices. 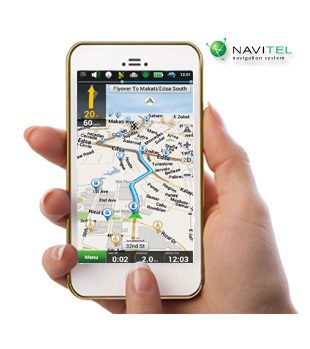 To get the App please visit the app store (play store) of your device and search for 'NAVITEL'. Alternatively you may also visit the carNAVi Store and follow the link at the product description. Download and install the Navitel App and then you may select your map subscription of the Philippines map within the Navitel App. For more information please visit this link at the carNAVi Store.